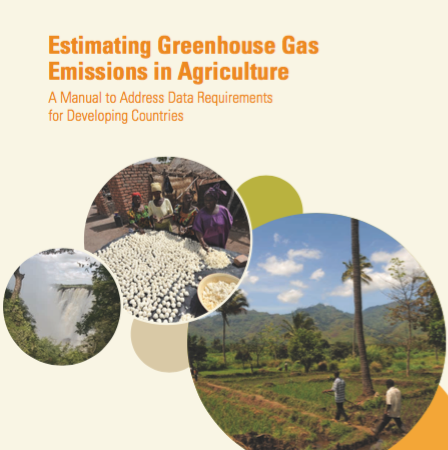 This manual, authored and published by FAO, provides countries with a tool and methodology to help identify, build and access the minimum set of activity data needed for GHG estimation. Required data is largely drawn from country’s official national agricultural and forestry statistics, as disseminated in FAO’s corporate database FAOSTAT, and integrated by geo-spatial data obtained from recognized international sources. 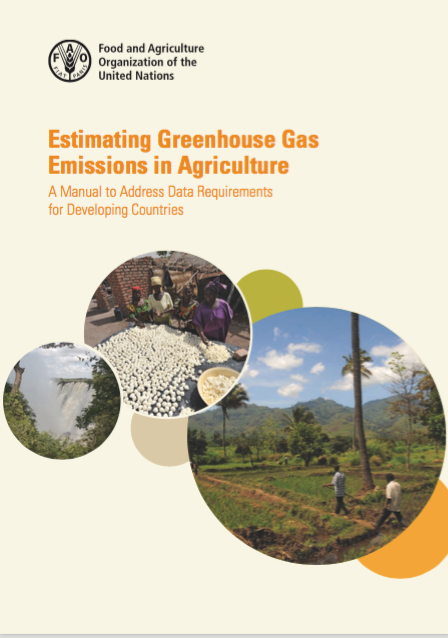 Users are provided with step-by-step guidance on how to use this minimum set to build a default, yet complete national GHG emission dataset for agriculture and land use, which follows the default, Tier 1 approach of the Intergovernmental Panel on Climate Change (IPCC) Guidelines on National GHG Inventories. Link to the manual here.